MR. SIMPSON: Thank you, Mr. Speaker. Those who pay attention to our proceedings know that I start every sitting with a discussion of commercial fishing. I spoke at length about this issue, so I am going to forego a big introduction and get right down to business. I have questions for the Minister of ITI about the implementation of the strategy for revitalizing the Great Slave Lake fishery. I apologize in advance, because I am going to be bringing this up a lot during this sitting. A quarter-century ago, my dad actually did some research on the history of revitalization strategies for the commercial fishery in the Great Slave Lake, and back then there was a stack of these types of strategies that stood a few feet high. We have been working on this current strategy for years, and it’s time to start moving on it so it doesn’t end up as just like all those other strategies. My first question is: does the Minister know how the amendments to the Federal Fisheries Act that were introduced in the House of Commons yesterday will affect the plan to revitalize the Great Slave Lake commercial fishing industry? If you would be willing to elaborate further, I would like to know what the GNWT will do to ensure that our interests will be represented when the new regulations under the Act are being developed. Thank you. HON. WALLY SCHUMANN: Thank you, Mr. Speaker. First of all, the Fisheries Act just came out yesterday, but I can update this House that ITI staff has attended a technical briefing on the amendments to the Fisheries Act. Based on the most current information that I have, Mr. Speaker, that has been shared with us in briefings, we do not expect any of these amendments to affect the building of the processing plant in Hay River for the fishing revitalization strategy, and we expect these changes to have minimal impacts on the commercial fishing industry. Thank you, Mr. Speaker. MR. SIMPSON: It’s good to hear that they are paying attention to these changes. Next, I would like an update on this fish processing plant that has been talked about for a few years now in Hay River, and I am looking for any information we can find. Are there blueprints? Is there an estimated cost? Do we know when they will break ground? The last I heard, it was supposed to be this spring. HON. WALLY SCHUMANN: The fish plant itself is on schedule according to our strategy. We said we wanted to be able to build this thing in the first two or three years of the strategy [NOTE: The strategy was released in February, 2017]. That is still the expectation of myself, for sure, and the department. We are finalizing the design project right now. Moving forward, in the coming weeks we should be able to share that with Members, and particularly the Member for Hay River North. The cost of the plant will still depend on the equipment that is going to be optioned for this building. There are various cost estimates and options based on the level of funding that we receive, so that will have to be taken in consideration of the funding that we receive from the federal government. If we do secure all of the funding from the various different federal departments that the department has reached out to, we expect the top end of the price to be $12 million for the fish plant. MR. SIMPSON: That’s an expensive piece of infrastructure. I would like to ask about the Freshwater Fish Marketing Corporation. Last year, the feds commissioned a report on possibilities for the future of the corporation, and I was wondering: can the Minister give us an update on what that report said and how the conclusions of that report may affect the industry in the Northwest Territories? HON. WALLY SCHUMANN: As we know, DFO did a stakeholder engagement last year, and we know DFO is considering a fisherman-led cooperative to replace the Freshwater Marketing Corporation. Those decisions have not been made yet. 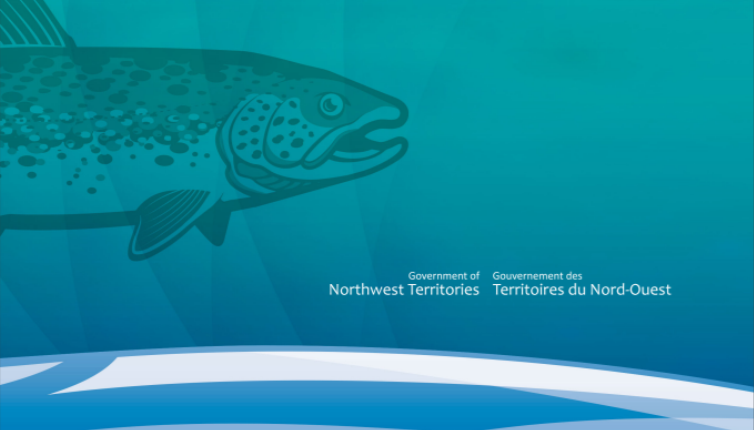 DFO has assured us that they will continue to engage NWT fishers on the outcome and the future state of the Freshwater Marketing Corporation. This thing is still in flux. Every time I have talked to the federal Minister, we haven’t got where they are at on this whole thing, but the DFO has assured us the interests of northern fishers will be taken into consideration before it moves on, and I can continue to update the House on that. MR. SIMPSON: Thank you, Mr. Speaker. I think the Minister said the DFO is looking at a fisherman cooperative to possibly take over Freshwater. If that happens, will that have any effect on the plans to build a plant? Thank you. HON. WALLY SCHUMANN: In my discussions with the federal DFO minister, no, those plans of going to a cooperative are still in the early stages and will not affect our strategy moving forward and our plans to build a brand new fish plant in Hay River. Thank you, Mr. Speaker.